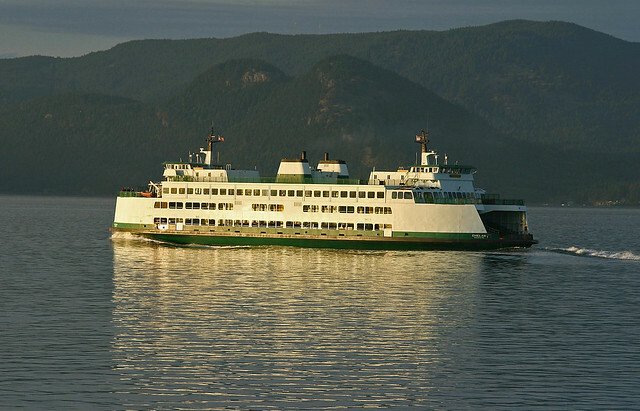 M/V Chelan leaving Sidney B.C. July 22, 2010. 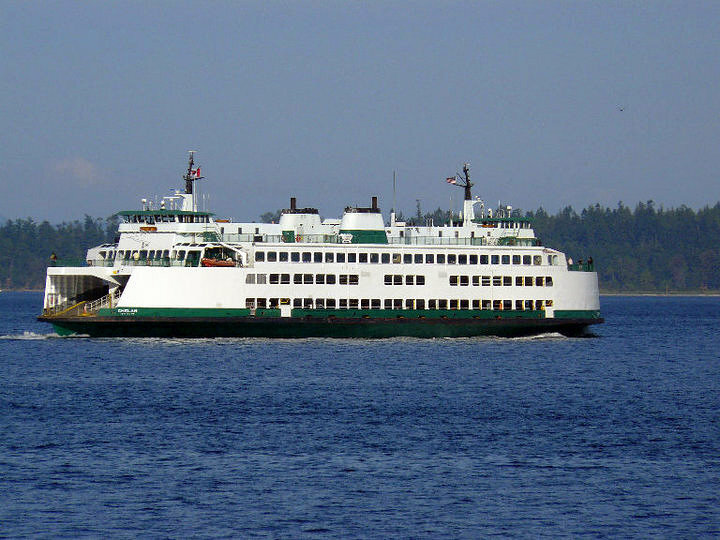 According to the latest maintenance schedule, the Chelan is going to be the inter-island vessel for 3 weeks starting mid-October. 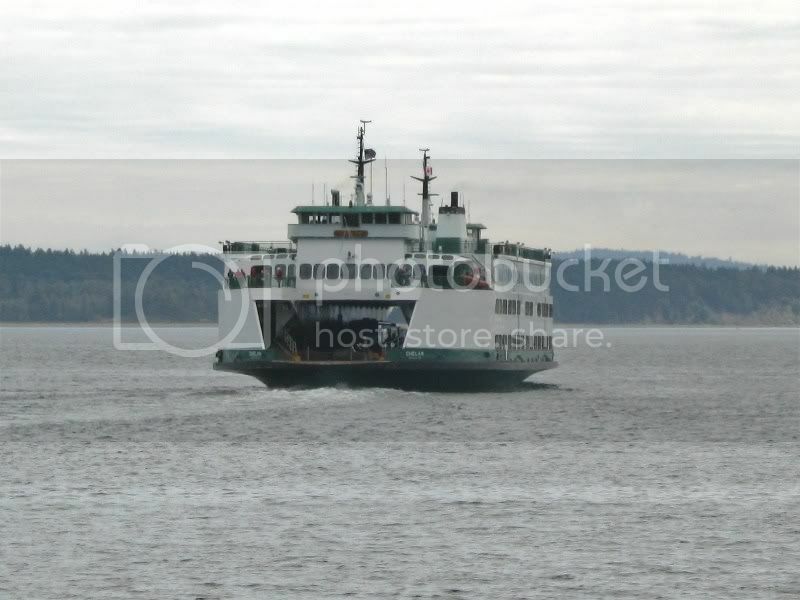 Is this the first time that an Issaquah 130 or larger has been on the inter-island route? Certainly the largest boat I can ever remember doing duty out there. 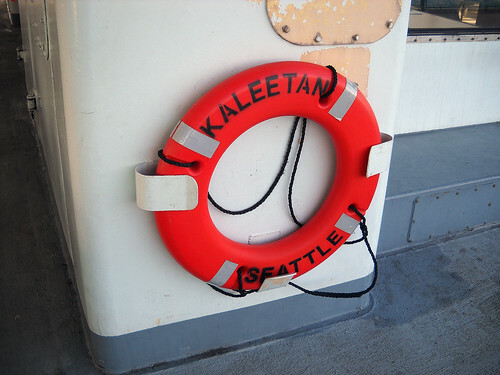 At least, ever since there's been a dedicated interisland boat... I just looked at the maintenance diagram as it currently stands... looks kind of complicated. 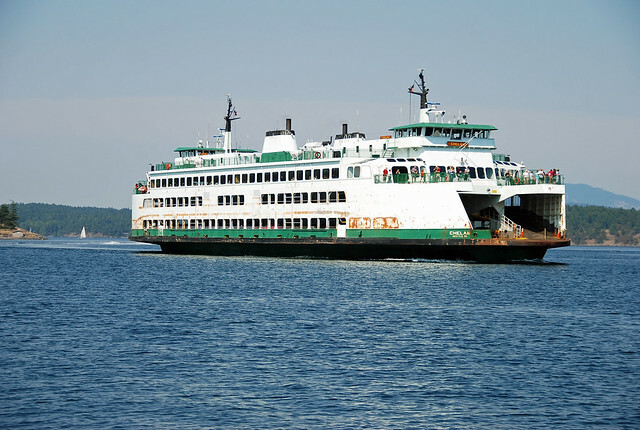 I heard from someone working on the Chelan yesterday...don't go by that maintenance schedule too much. 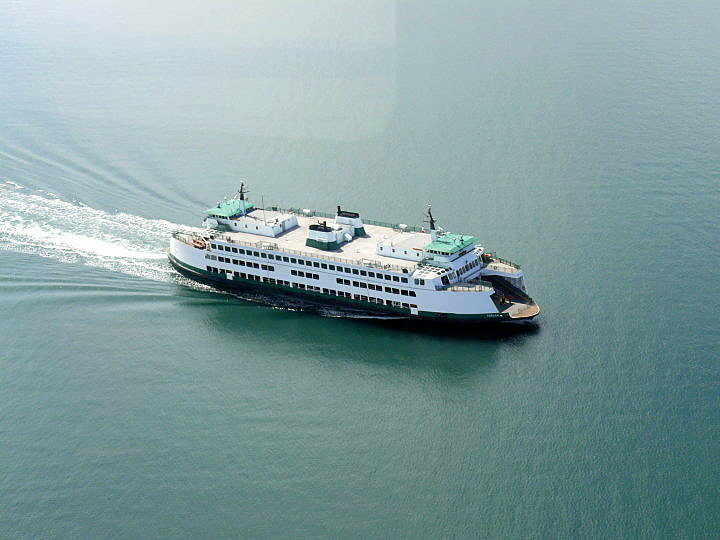 My friend has been advised that the Chelan is supposed to be working the international route until the second week in October before the Elwha comes on line. 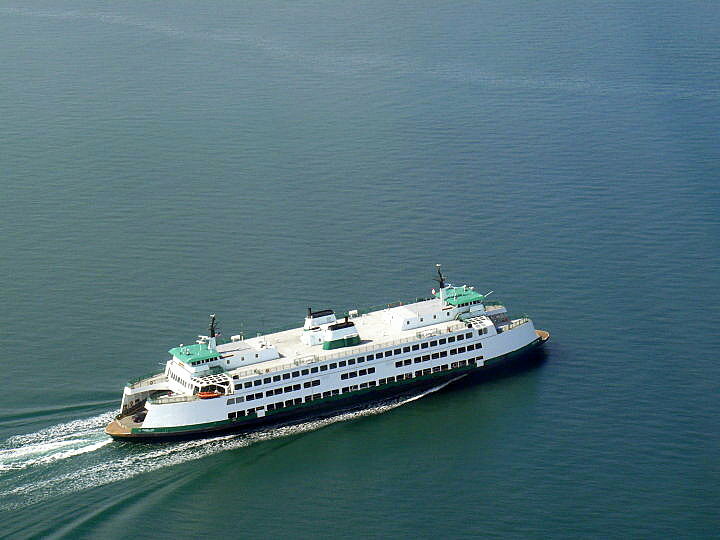 The state hasn't fully decided yet where any particular boat is going to be up in the San Juans at this point in time (!) if you can believe it. The only one for sure is Yakima. They revised the maintenance schedule yesterday. 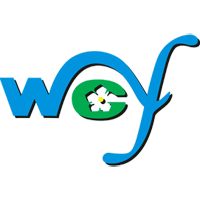 It is now dated the 21st. 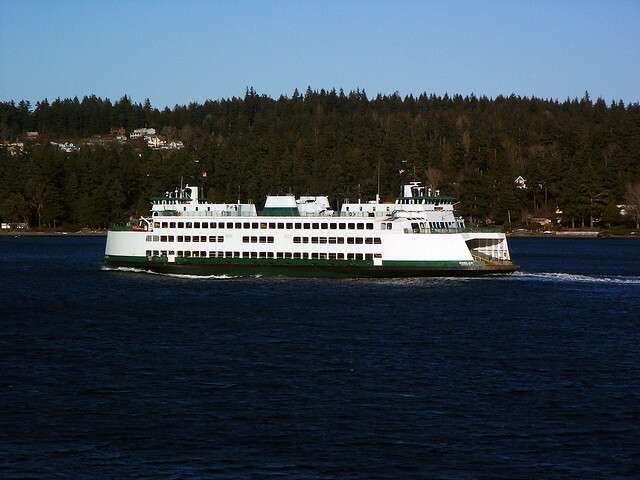 The Chelan is going in for the Evergreen, which went from "stand by" to "Eagle Harbor." 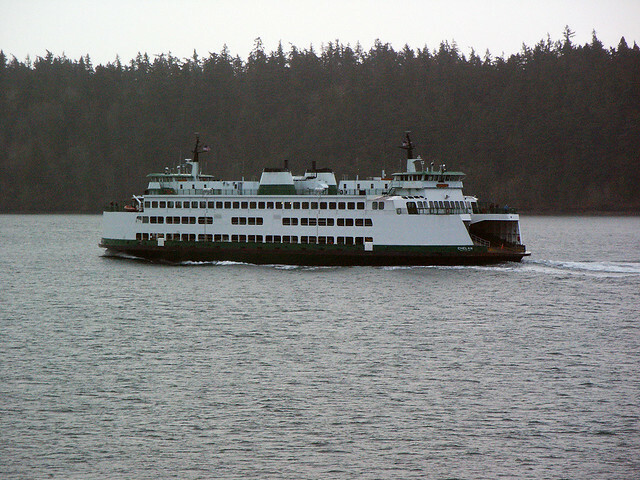 Also my friend heard back that yes , indeed, the Elwha will begin the Sidney run at the state of the fall schedule as previously noted. 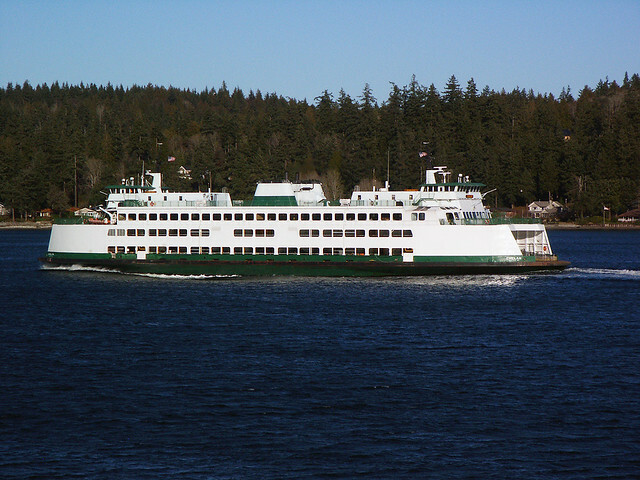 Based on the latest maintenance schedule (dated 10/12), the Chelan will not be on the inter-island route and the Evergreen State will be on the inter-island route till mid-Feb 2011. 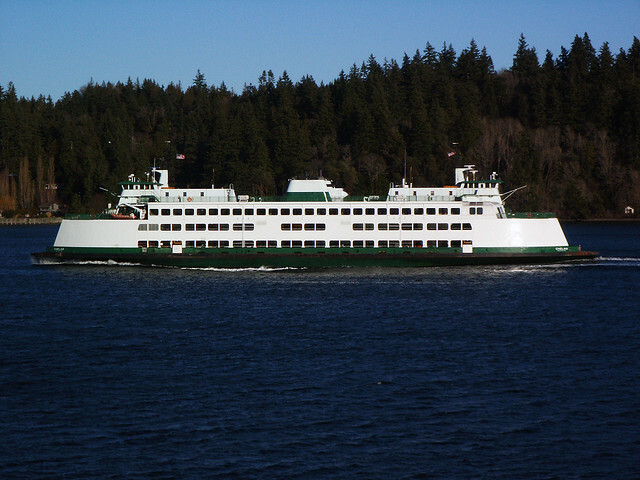 - This Issaquah class ship was on the Clinton-Mukilteo run, because of a recent emergency shuffle. 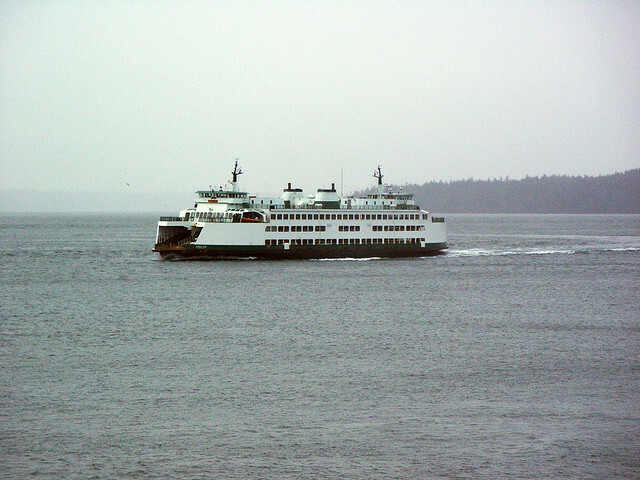 We just missed this sailing, and I got out of the car and found a good photo spot at Clinton so that I could get a picture of her heading for Mukilteo. 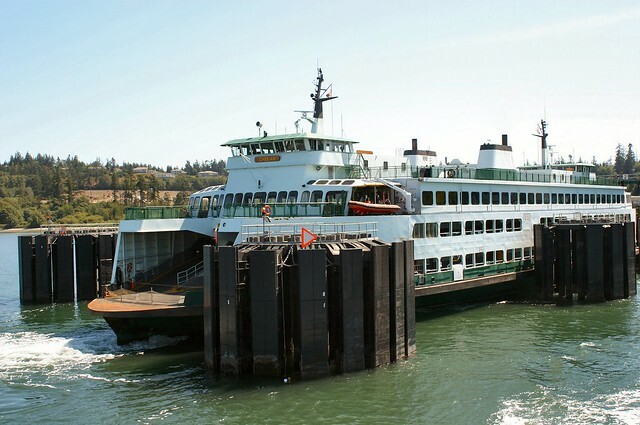 Now we're on the Cathlamet, and here comes Chelan headed for Clinton. - to me these pictures show a distinguishing feature of the Citrissy-class, which are the sections of solid hull (no windows) at each end. 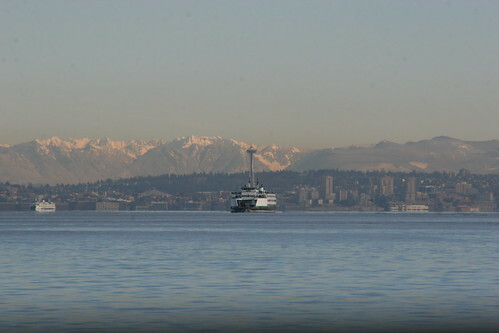 With Whidbey Island in the background. Nice autumn colors. 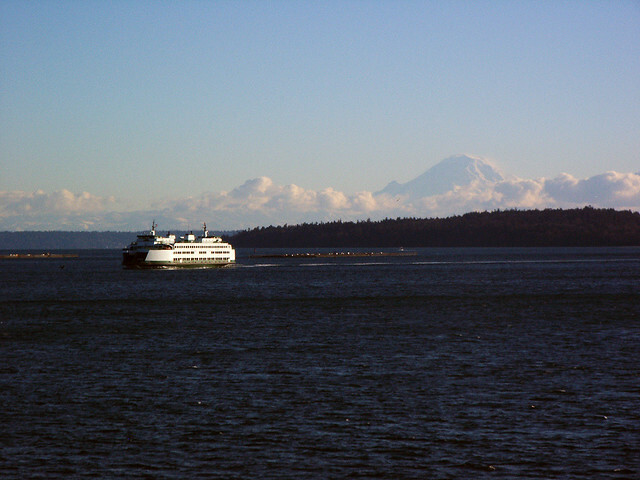 Later that day while on the Edmonds-Kingston route, I looked and saw passing-Issies on the south Whidbey route. 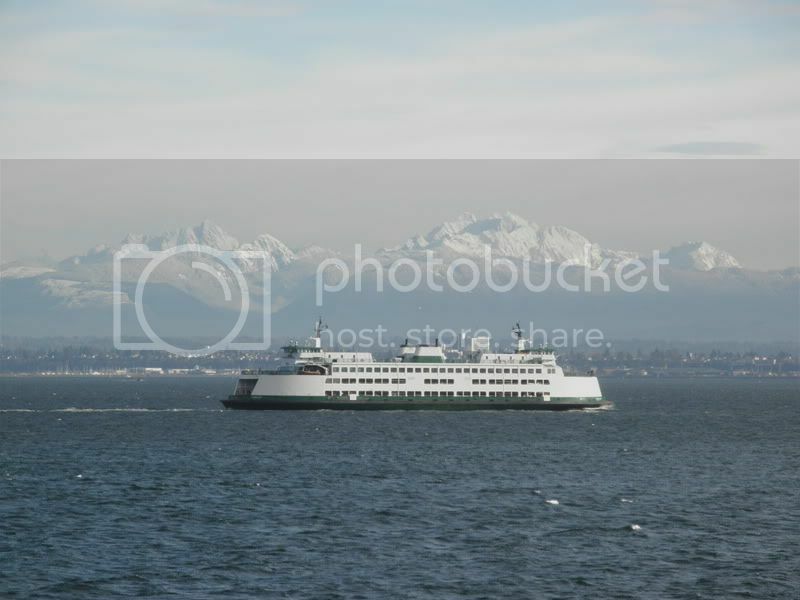 An Issaquah-class ferry with Mt. Baker. 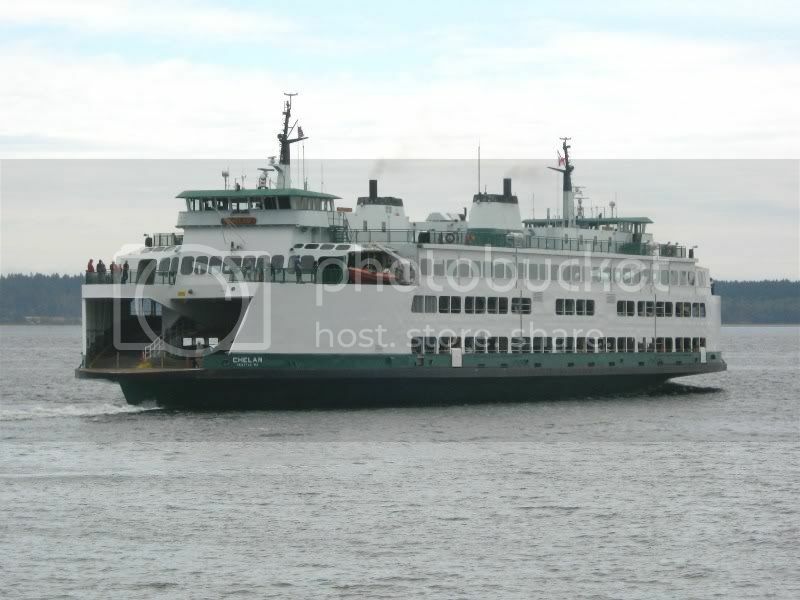 - I'll pretend that the ship is Chelan, but it could also be Cathlamet. 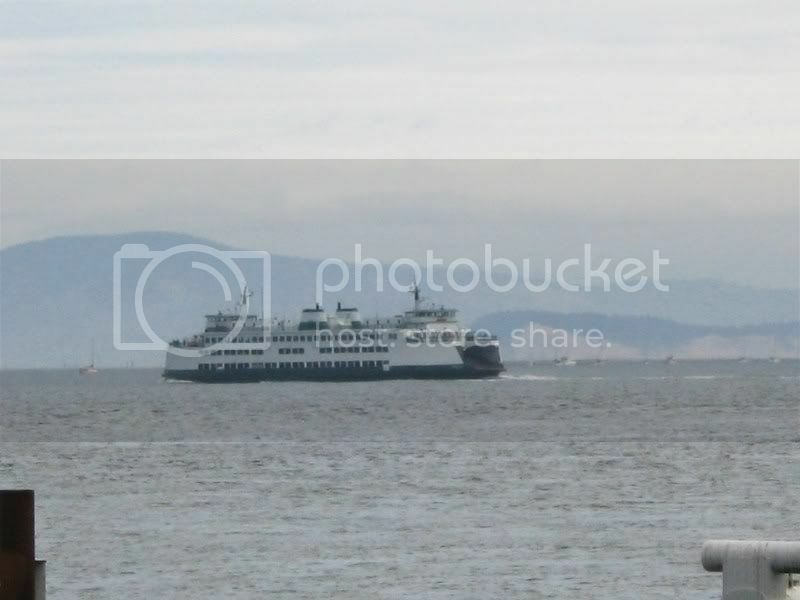 Orcas Island is the background in this photo. You are looking at Entrance Mountain (the twin hills) near Olga, and Mt. Constitution behind it. 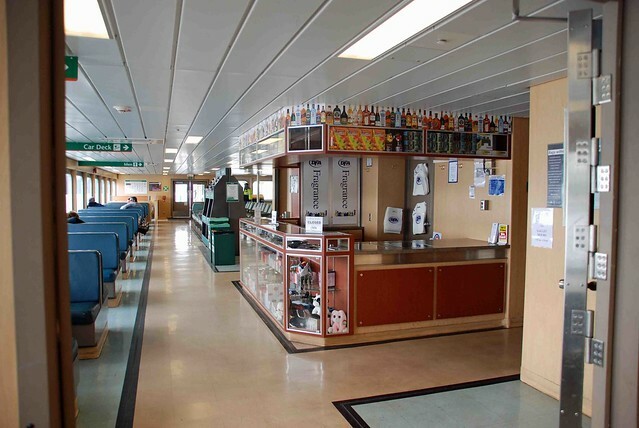 Taken on the MV Kaleetan through Rich Passage. 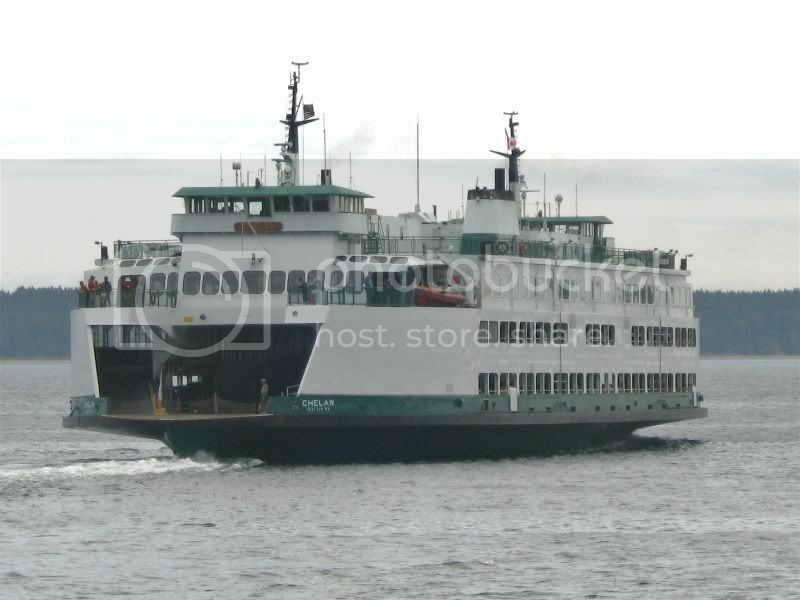 I have to say I'm very partial to the unmodified, original appearance of these ferries when it comes to the solariums at each end. 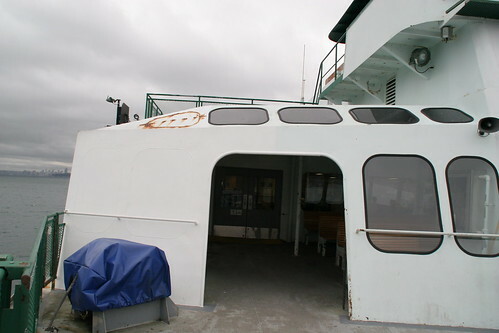 I remember riding the Chelan on a field trip once as a child and loved the solariums. It's sad they took away most of the space in them. 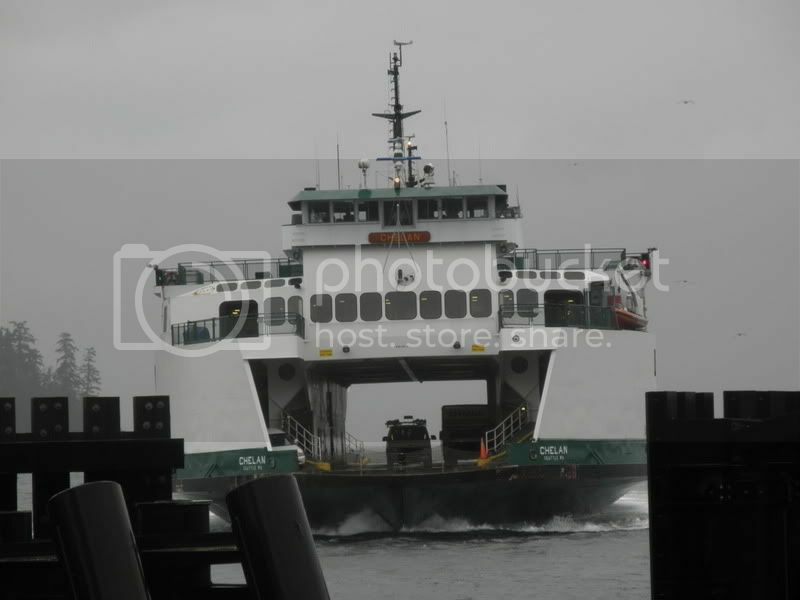 Next to the Super Class, I'd say the Issaquahs are my next most favorites among the WSF fleet. 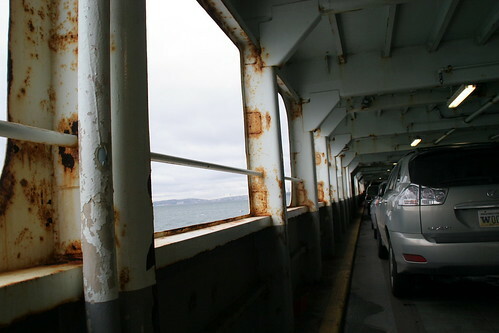 Wouldn't it have been easier to paint the interior and exterior of the car deck at the same time? 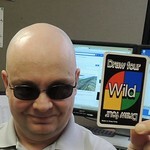 I am curious about DCI. 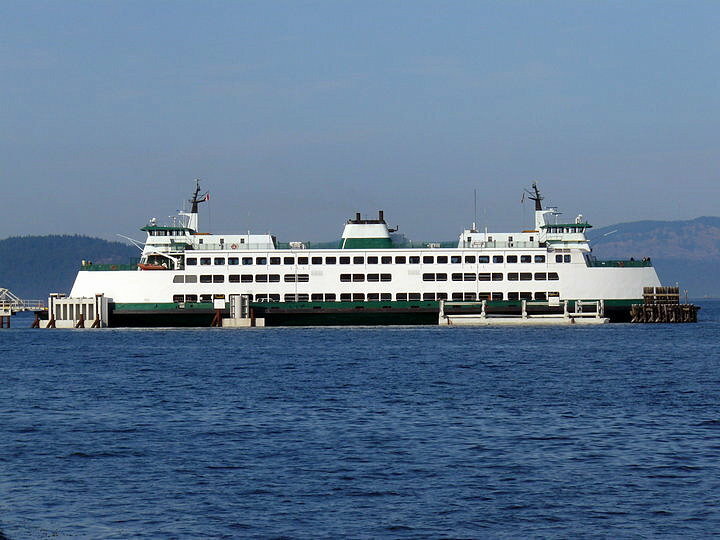 Do they have drydocks large enough to accomodate the Chelan? From this perspective it looks like she is in the water. She is in the water. 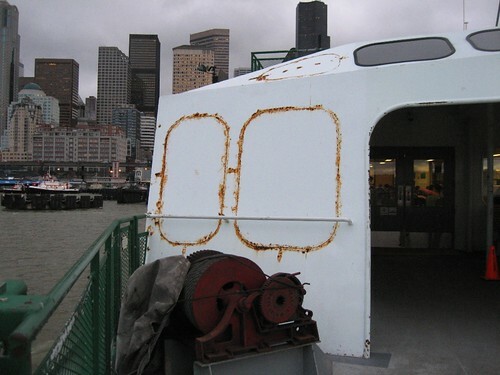 As they're doing painting on the car deck, they didn't need to put her into drydock. 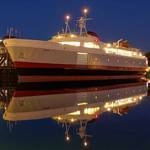 The drydock at DCI can accommodate up to a Super Class ferry. 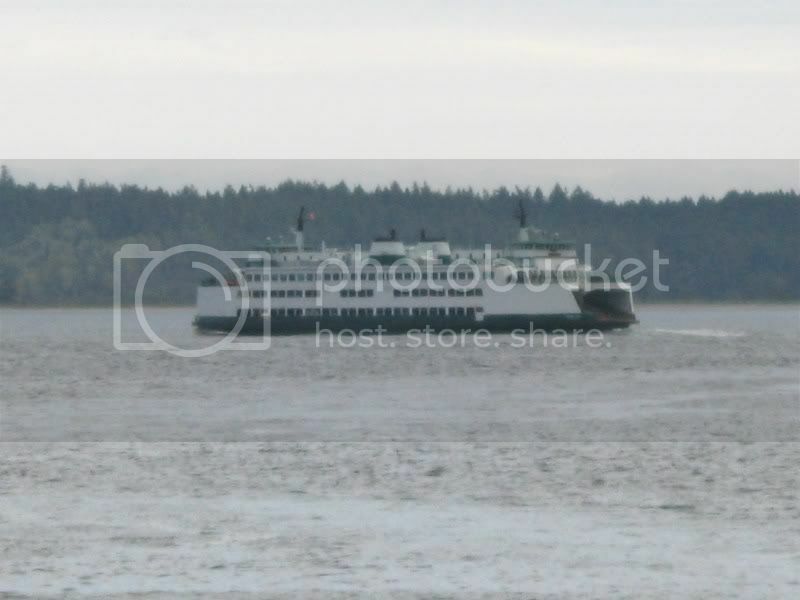 If you go back and look at the Hyak thread, you'll see I posted photos of her at the DCI drydock. BIG OOPS on my part. I thought I remembered seeing it somewhere on this board, sorry. 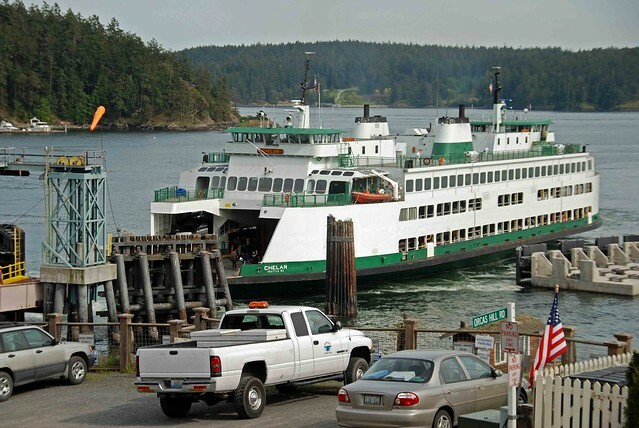 I'm doing a presentation for our Ferry Task Force on Capitialization on next Monday night. 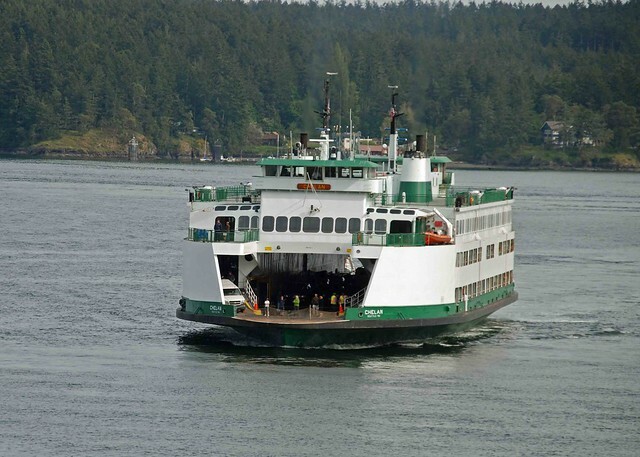 Does anyone know the number of crew and Issaquah class requires? Although not necessary, I would also like to know about how much fuel they use on an average day. 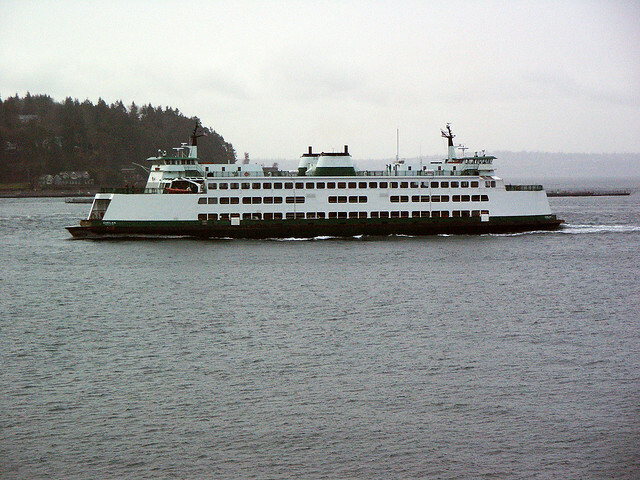 MV Chelan, as seen from Sidney's fishing pier on May 1, 2011. 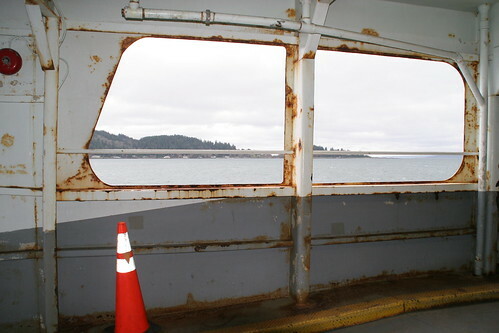 - she is behind Sidney Spit, and soon to emerge from around the spit's point. The chillin' Chelan headed for Sidney on a sunny May 1, 2011. 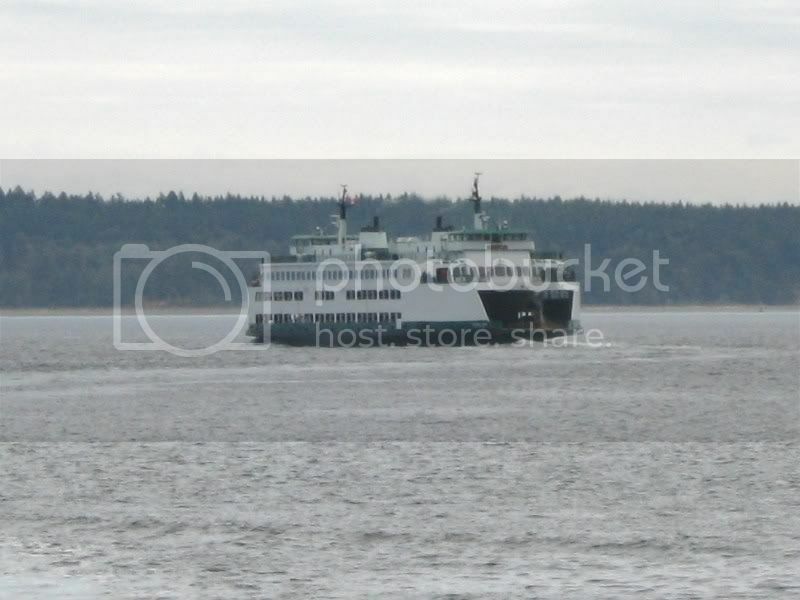 - I'm on the Sidney fishing-pier, and the ship is still behind Sidney Spit. 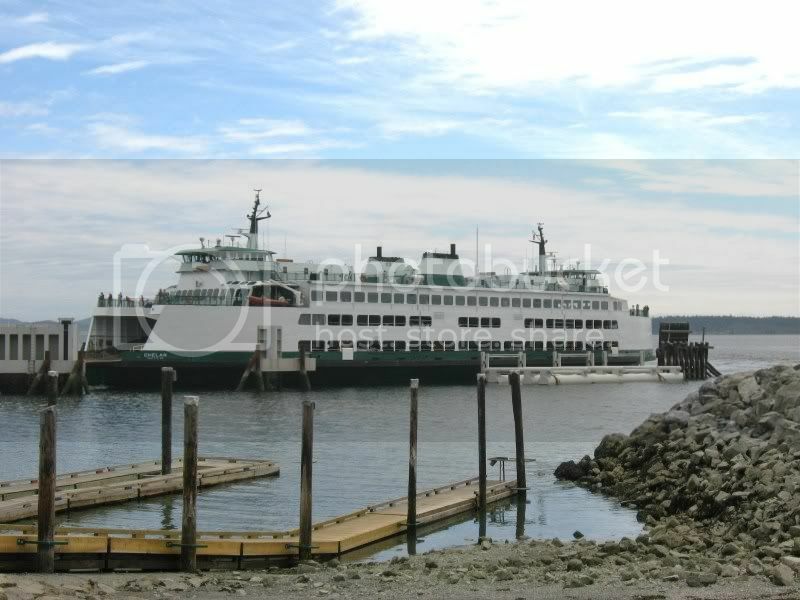 More May 1, 2011 shots of MV Chelan, as seen from the Sidney fishing pier. 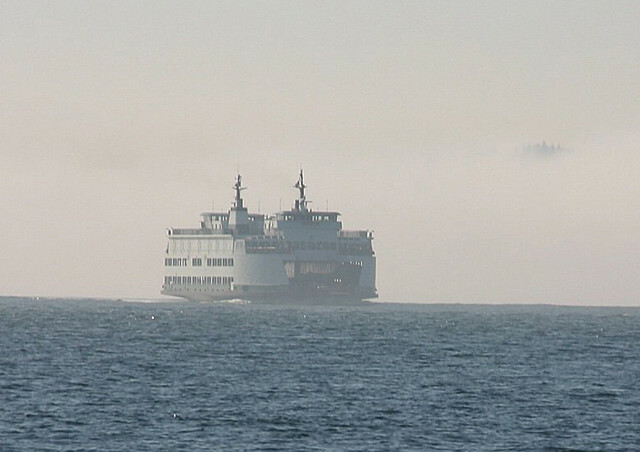 - she emerges from behind Sidney Spit, and is then in front of Forrest Island as she makes her turn south towards the Sidney ferry landing. Final set of Chelan pictures from May 1 2011 from Sidney's fishing pier. 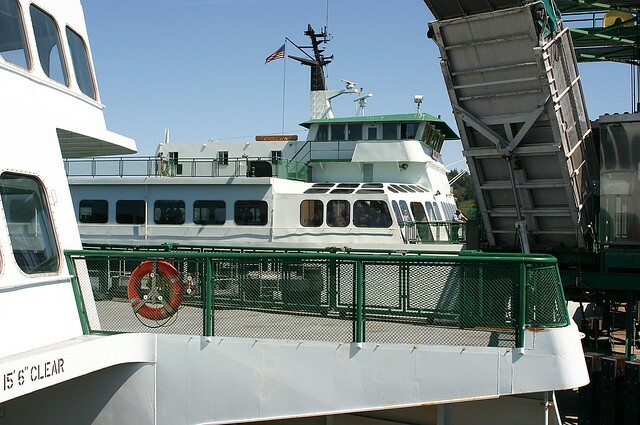 Why are the railings along the second car deck ramps white when the other Issaquah boats have yellow ones? 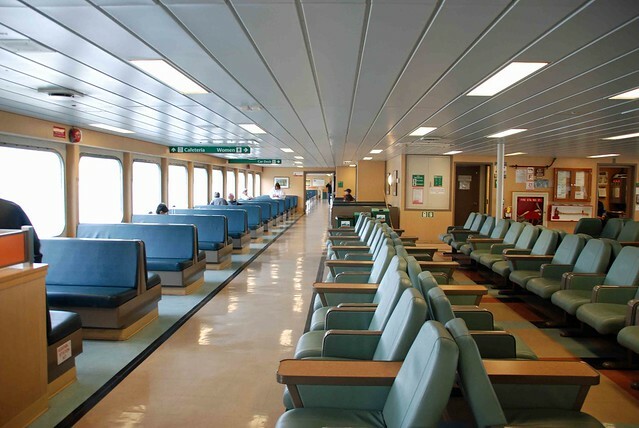 Why are the drains along the sides of the lower car decks so wide in comparison to the others? 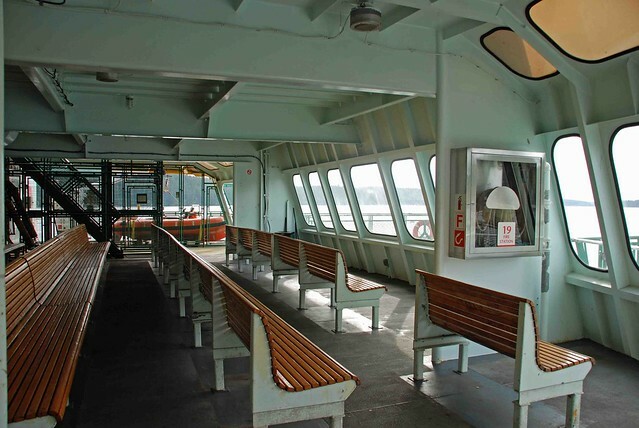 Did you know that she also has the lowest car deck clearance of the Issaquah 130's?